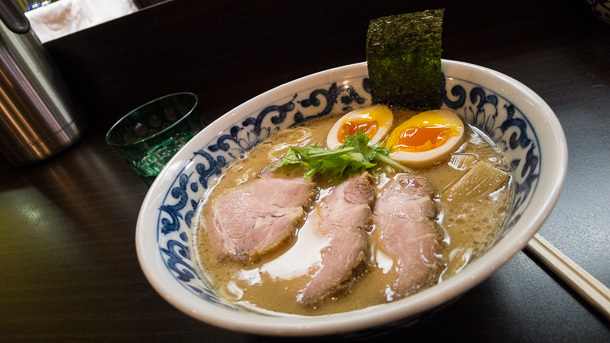 Ikaruga (斑鳩) serves up tonkotsu ramen for people who think they don’t like tonkotsu. The telltale stench of boiled pig bones is mysteriously absent, while not sacrificing anything with regard to flavor and texture. If anything, it’s probably the creamiest of this style I’ve ever had. 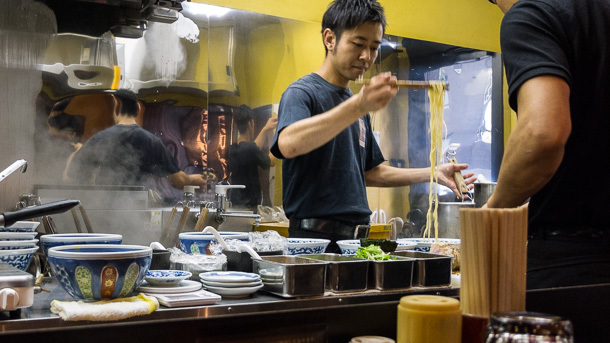 Where some traditional tonkotsu styles can be greasy and gritty, Ikaruga’s offering has a smooth feel that coats noodles well and goes down easy. The much lauded shop is located a short walk up the street and around a corner from Kudanshita Station. The service is polite and polished, the interior clean, modern and comfortable. 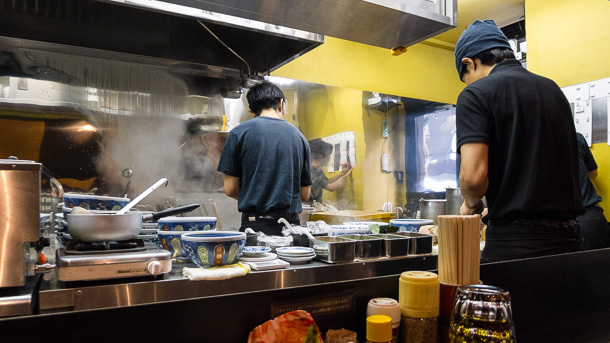 I’m kicking myself now, as I once lived in Jinbōchō for several months and could have walked over here everyday had I been further along in my ramen awakening. 残念ですね。We can only move forward!